The Collectors Club was founded in New York City in the summer of 1896 as a way to “gather… all the societies, all the auctions and all the philatelic interests of the city” according to the invitation to join. One hundred eager stamp collectors responded. Sixty-six were from the City and the rest from across the United States and as far away as Shanghai, China. While it was originally organized along the lines of other New York City Victorian clubs, the Club soon gained a national reputation among collectors because of the members’ intense interest and prominence in philately. Founding members included John W. Scott of catalog and album fame, John Luff, Hiram Deats and Charles Mekeel. Later members included such famous names as Alfred F. Lichtenstein, Theodore Steinway, Alfred Caspary, Col. Green, and Harry Lindquist. Franklin D. Roosevelt and the Earl of Crawford were among the honorary members. You will find an excellent and more extensive history in “The Collectors Club, 1896 – 1991” by John D. Dowd in PhiLITex 92, Bulletin No. 1, available in many philatelic libraries. Also, in 1971, for the Collectors Club’s 75th Anniversary, William W. Wylie prepared an informational document entitled “An Informal History of the Collectors Club“. The Collectors Club is open Monday through Friday, 10:00AM to 5:00PM. Please call ahead if intending to visit. The Library and its support committee are available on Wednesdays, also 10:00AM to 5:00PM. On meeting nights, the Library is open until 6:30PM, the beginning of the lecture program. The Club is housed in an elegant five-story brownstone in the Murray Hill section of Manhattan, in the shadow of the Empire State Building. In 1902 famous architect Stanford White completely redesigned the structure for Thomas Benedict Clark, an art dealer and collector, whose new home garnered lavish praise for its beauty and became a showcase for his antique and art collections. Thanks to the generosity of Alfred Lichtenstein, one of the giants of early philately, it became the Club’s permanent home in 1937. In 1979 the New York City Landmarks Preservation Commission designated the building a New York City Historical Landmark. Read the commission’s report about the building’s architectural significance and rich history. 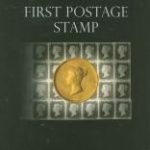 The Collectors Club provides free of charge, the use of the Club’s facilities to specialized philatelic study societies and groups needing a meeting place to discuss and exhibit stamps and postal history within their area of interest. These groups, all of which are not-for-profit organizations, meet on a regular basis monthly. The Collectors Club hosts the quarterly board of directors meetings of The Philatelic Foundation, an institution with educational purposes. A number of other not-for-profit groups also hold annual or semi-annual meetings at The Collectors Club. Presently there are eight specialized philatelic study societies and groups that meet on a regular basis at the clubhouse. The following is a list of these groups and the times they meet. All individuals attending these society meetings need not be Club members, but we do require that at least one member be in attendance at these meeting. The meetings are often held on weekdays but at times when the building is closed so the Club provides a monitor to open and close the building. Additional information and contacts can be obtained from the Irene Bromberg by e-mail at info@collectorsclub.org or phone at 212-683-0559.